There are just two Scottish teams competing in the second Grand Slam of Curling event of the season – the Masters, October 27-November 1, in Truro, Nova Scotia – Team Murdoch on the men’s side and Team Muirhead on the women’s. The Scots are among 15 men’s and 15 women’s teams divided into three groups of five, with a round robin format deciding the top eight on each side to progress to the playoffs. Who do they face, and what are their chances? Well, read on to find out. The rink of David Murdoch, Greg Drummond, Scott Andrews and Michael Goodfellow have been handed a tough draw, facing three experienced Canadian teams and the current world champions. Their first match is tomorrow, against Team Howard. Four-time world champion Glenn Howard reshuffled his team for this season, bringing in Wayne Middaugh at third, moving Richard Hart to second and adding his own son Scott at lead. The combination has worked well so far, as the team reached the quarter finals of the first Grand Slam of the season, the Tour Challenge, only to be beaten by Team Gushue, then made the finals of the Shorty Jenkins Classic (beaten by Gushue again) and Toronto Tankard (beaten by Team McEwen). They did, however, fail to make the playoffs in their last competition, the Canad Inns Men’s Classic. The second match comes on Thursday, against Team Epping. It has been chop and change for skip John Epping recently, and this year he plays alongside Mathew Camm, Patrick Janssen and Tim March. 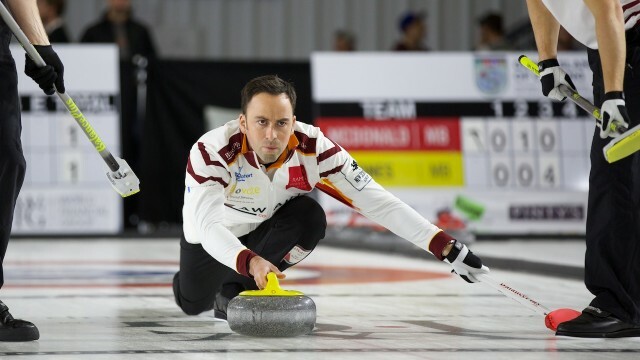 The quarter finals have been their limit this season, getting to that stage at the Shorty Jenkins Classic (beaten by Gushue) and the Challenge Chateau Cartier de Gatineau last weekend, where they were beaten by Team Mouat of Scotland. Otherwise, they failed to make the playoffs at the Stu Sells Oakville Tankard, Tour Challenge, Point Optical Classic and Toronto Tankard. After that, on Friday, Murdoch face Team Edin. The Swedes (Niklas Edin, Oskar Eriksson, Kristian Lindström, Christoffer Sundgren), who won the world title in Halifax in April, began their 2015-16 season by winning the Baden Masters, beating Team Brewster in the final. Since then, they made the Oakville Tankard quarter finals (lost to Gushue), failed to make the Tour Challenge playoffs (one of their losses being to Murdoch) and then reached three quarter finals – at the Shorty Jenkins Classic (beaten by Howard), Point Optical Classic (lost to Team Jacobs) and Toronto Tankard (again beaten by Jacobs). Most recently, they’ve gone out before the playoff stage at both the Canad Inns Men’s Classic and the Challenge Chateau Cartier de Gatineau. And Murdoch finish off with another Friday game, this time against Team Gushue (Brad Gushue, Mark Nichols, Brett Gallant, Geoff Walker). Gushue’s rink are undoubtedly the form team in world curling. They have picked up titles at the Oakville Tankard, Shorty Jenkins Classic, Swiss Cup Basel and, just this past weekend, the Challenge Chateau Cartier de Gatineau. The only exceptions to the winning rule came at the Tour Challenge, where they lost the final to Team Koe, and the Toronto Tankard, where they lost in the quarter finals to McEwen. Verdict: Can Murdoch win enough games in this group to make the playoffs? It looks a tough ask. Like Epping, their limit this season has been the quarter finals (at the Baden Masters and Oakville Tankard); they fell short of making the playoffs at the Tour Challenge, and couldn’t reach the last eight at last weekend’s Challenge Chateau Cartier de Gatineau. Results aren’t what the team would want them to be at the moment – and faced with form teams in Gushue and Howard, it’s going to be tricky for Murdoch to turn things round here. Fresh from qualifying for the European Championships next month, Team Muirhead (Eve Muirhead, Anna Sloan, Vicki Adams, Sarah Reid – the latter returning from injury) face three Canadian teams and one Swiss in Truro. They begin against Team Einarson tonight. The Canadians (Kerri Einarson, Selena Kaatz, Liz Fyfe, Kristin MacCuish) won their first championship together at the Tour Challenge Tier 2, claiming $9,200 and a place at the Masters. Since then, they’ve made semi finals at the Mother Club Fall Classic (lost to eventual winners Team Montford) and Prestige Hotels & Resorts Classic (beaten by eventual winners Team Lawton), before failing to make the playoffs at the Curlers Corner Autumn Gold Classic and then reaching the Canad Inns Women’s Classic quarters (lost to Englot). Muirhead’s next opposition are Team McDonald tomorrow. This rink (Kristy McDonald, Kate Cameron, Leslie Wilson-Westcott, Raunora Westcott), formed last season, have been all about the quarter finals so far in 2015-16. That was the stage they reached at the Tour Challenge (beaten by Team Kim), Mother Club Fall Classic (lost to Team Link) and Canad Inns Women’s Classic (beaten by eventual winners Team Kim). Thursday evening sees Muirhead face Team Feltscher. The 2014 women’s world champions (Binia Feltscher, Irene Schori, Franziska Kaufmann, Christine Urech) have had a mixed season. They fell short of the Tour Challenge playoffs (finishing with a W1 L3 record), then failed to make the Stockholm Ladies Cup last eight, placing third in their group behind Östlund and Muirhead. They did then reach the Womens Masters semi finals, going out to Team Tirinzoni, and most recently were in the final of the Swiss European Championships qualifiers, only to lose out to Team Pätz. Muirhead round off their round robin with a match on Friday morning against Team Sweeting (Val Sweeting, Lori Olson-Johns, Dana Ferguson, Rachel Brown), who won last season’s Masters and finished second at the 2015 Scotties Tournament of Hearts. After making the quarter finals at the Oakville Tankard (lost to Pätz), Sweeting failed to get off the ground at the Tour Challenge, finishing W1 L3. They have picked up since then, though, winning the HDF Insurance Shoot-Out and reaching the Curlers Corner Autumn Gold Classic semi finals, being knocked out by Team Carey. Verdict: On paper, Muirhead look to have a kinder draw than Murdoch. 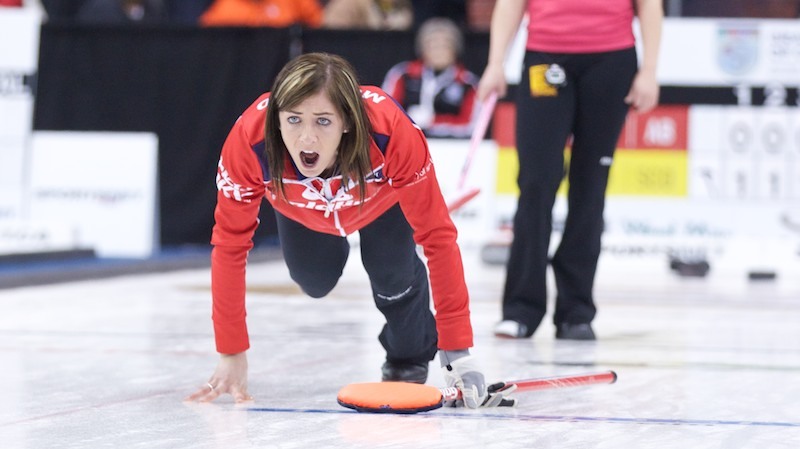 But it’s no stroll in the park either, as even the underdogs of the group, Einarson, are very capable of a shock. Feltscher have the pedigree, McDonald a knack of reaching playoffs and Sweeting are deservedly seen as one of Canada’s top three women’s teams alongside Homan and Jones. Nonetheless, if Muirhead’s rink maintain their focus and show the form that got them to the Stockholm Ladies Cup final and Womens Masters Basel semis, they should at least make the playoffs in Nova Scotia. The full Masters draw schedule is here. And you can watch games live online from Thursday on Sportsnet (the link to subscribe is here).